Quantum physics – have you taken any time at all to see what quantum physicists are saying about reality? You should because it is totally bizarre. Check out these 6 statements. Observations not only disturb what is to be measured, they produce it. When the province of physical theory was extended to encompass microscopic phenomena through the creation of quantum mechanics, the concept of consciousness came to the fore again. It was not possible to formulate the laws of quantum mechanics in a fully consistent way without reference to the consciousness. In the beginning there were only probabilities. The universe could only come into existence if someone observed it. It does not matter that the observers turned up several billion years later. The universe exists because we are aware of it. Is reality inside or outside of you? Is it your reality or a shared reality? Can you change reality imply by seeing things differently? It was questions like this that made me realize that Quantum Physics and the ‘Occult’ deal in the same things using different words. 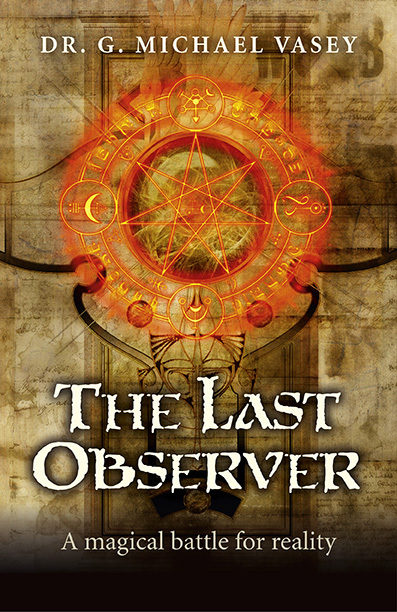 I explored that concept in my novel – The Last Observer officially released today. Give it a look… it may blow your mind!